The demand for STEM professionals is not keeping up with demand in the USA. 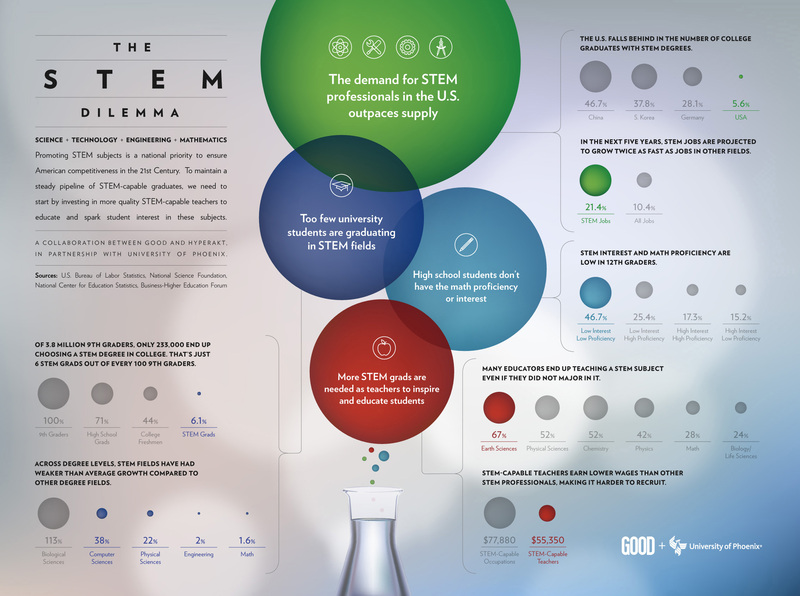 The below infographic shows the current trend in US educational institutions and their lack of focus on STEM fields that are absolutely critical to ensure the US remains competitive in the 21st century. Eric Bernard is a full time writer and frequent contributor to MindCoral's blog. His focus is on writing informative articles and providing tips and ideas for homework help and excelling in school or college. 9 Great Tips for College Application SuccessHow much do you know about the human body?